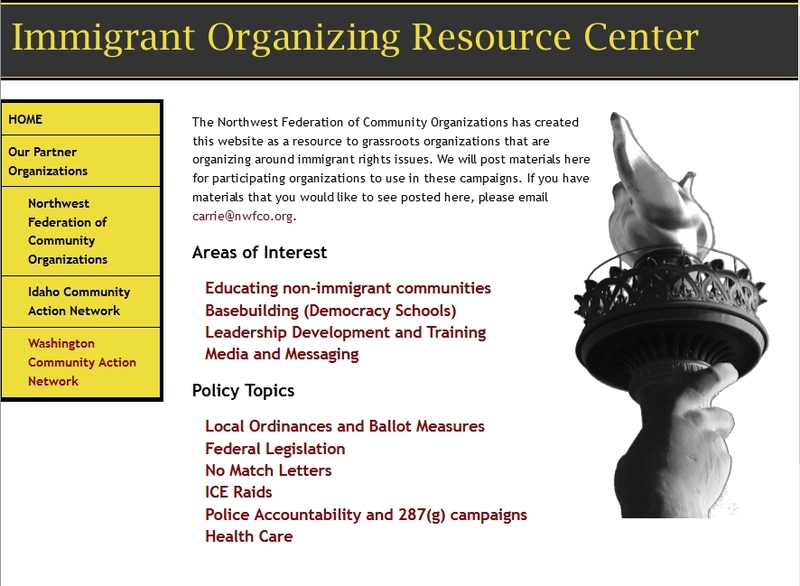 Immigrant Organizing Resource Center | Building Websites for the People! 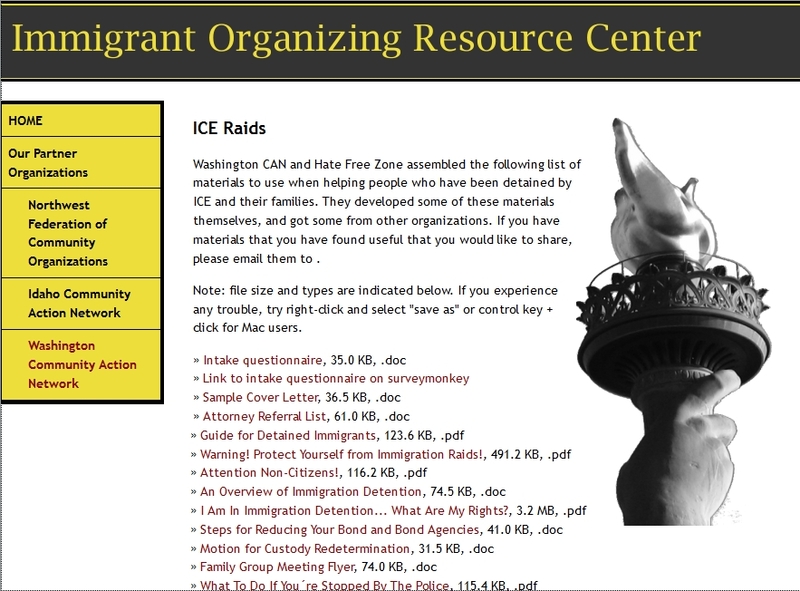 Immigrant Organizing Resource Center ran from 2006-2010. It was one of a handful of password-protected websites I created while at Alliance for a Just Society, formerly Northwest Federation of Community Organizations, that served as a clearinghouse of fact sheets, educational materials, and other resources for grassroots organizations to use. Organizers found that sharing materials with coalition partners through invitation-only websites served better than sending emails and clogging up inboxes with attachments. In addition, making revisions to already-shared files was easy to do compared to files sent as email attachments. Notice the irregular right edge of the first 2 paragraphs. This ragged float has text floating around one image that I sliced into ten strata.